While traveling in Northern California in a very beautiful forest near Mt. Shasta, California, Grandma Light had an amazing experience. 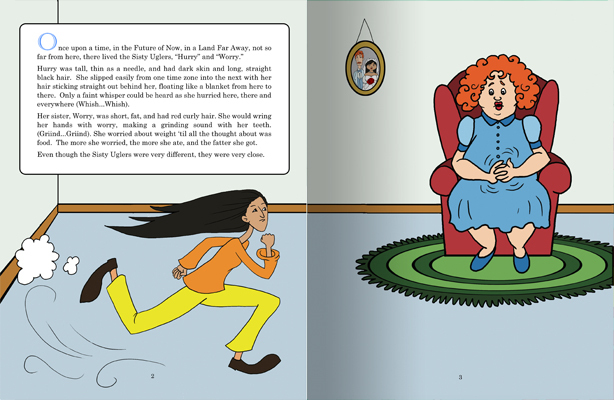 This whole book was revealed to her as she walked through the forest. She stopped and listened to each tree, stone, mushroom, stream, chipmunk, and bird along the trail. 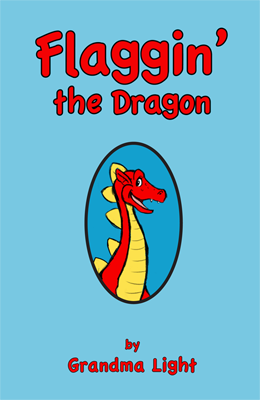 When she returned to her tent, she wrote the first of many tales about Flaggin’ the Dragon. Like Grandma Light, Flaggin’ loves to travel. 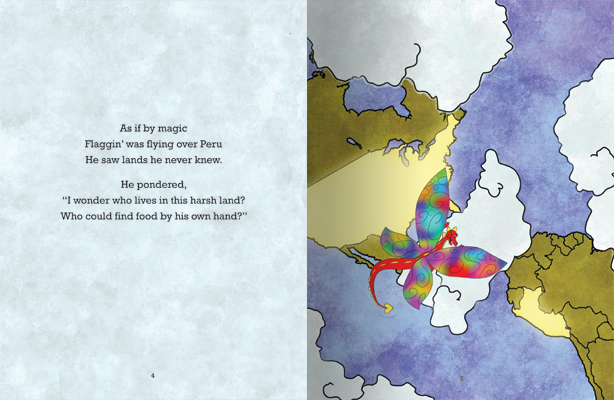 Through his travels, he helps children and their parents learn about the world as he makes friends with the mythical characters inhabiting various regions. 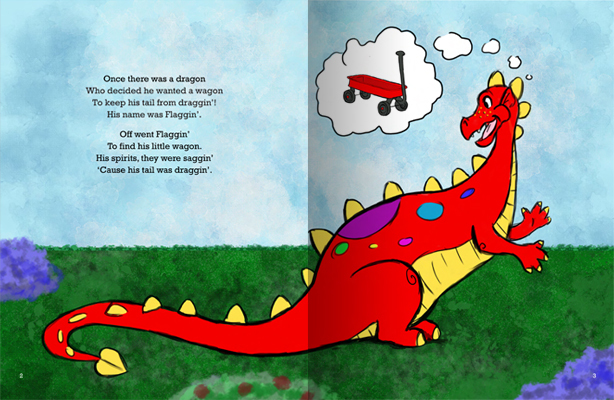 In this first tale about Flaggin’, he has a big problem. He needs to find a wagon to keep his tail from draggin’. 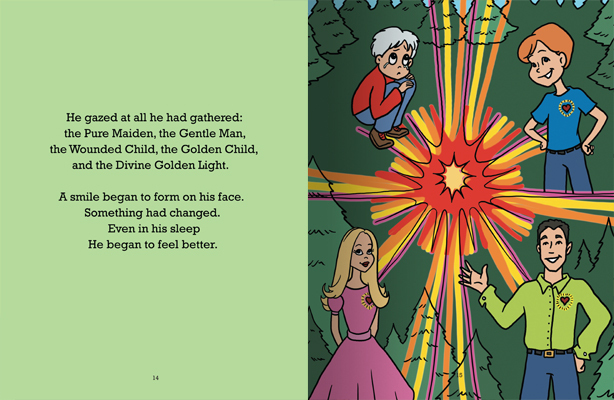 Can the creatures of the forest help him? Read this book and find out! 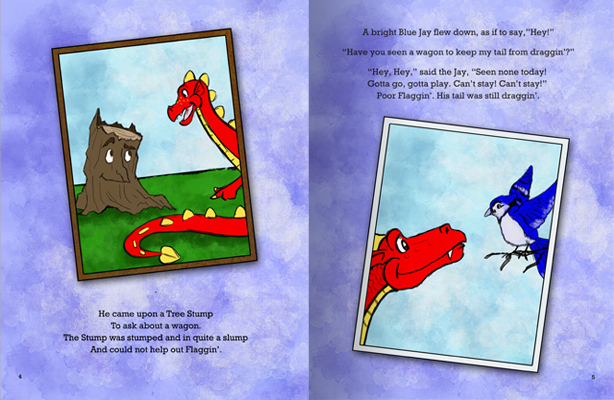 Read the rest of Flaggin’s adventure and find out how he solves his problem. Grandma Light loves to travel. When her son, Daniel, was little, she would play a game to entertain him as the miles flew by. 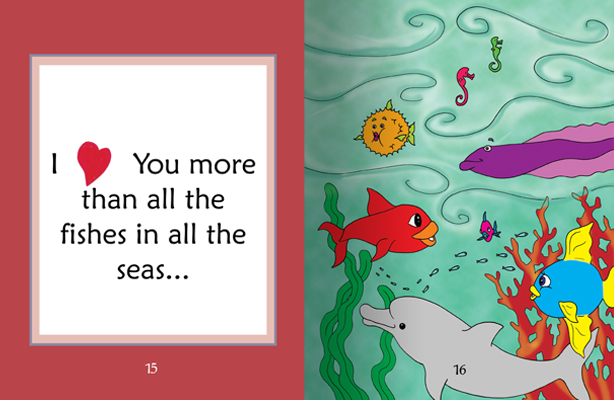 The game was called, “I Love You More Than…”. Mom and son would take turns thinking of things they could say. 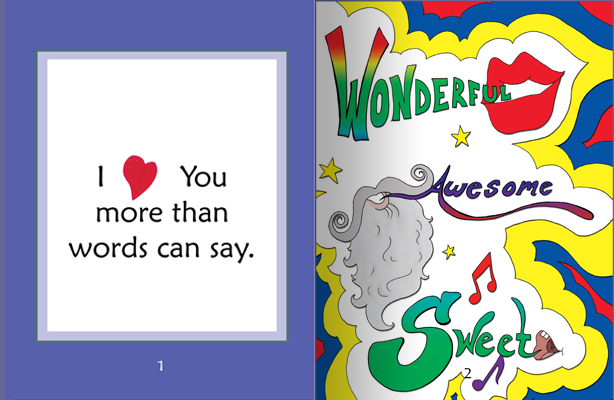 Perhaps it would be, “I Love You More Than…all the stop signs on all the highways in the world.” Laughter would follow. This book was written from that game. 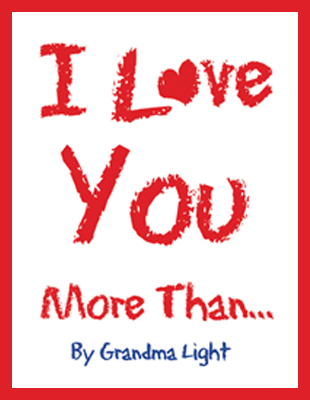 If you’ve ever “hurried” or “worried,” this Book is for you, your Children and your Grandchildren. 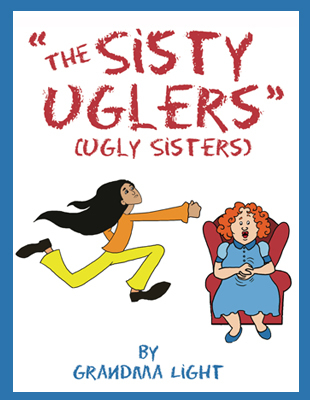 Children will laugh at these lovable Sisters as they “hurry and worry” through life. It isn’t until they meet a very strange Stranger that everything changes. All will marvel at what they discover. What Happens when we follow our dream? The Little Green Tree is alone in a forest. He wants more! He wants to fulfill his highest potential. He dreams of being covered in lights. 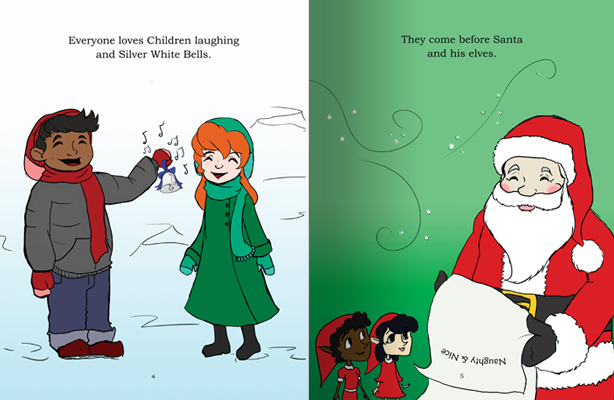 His dream is so powerful that a little boy, Alexander, comes and helps his dream come true. 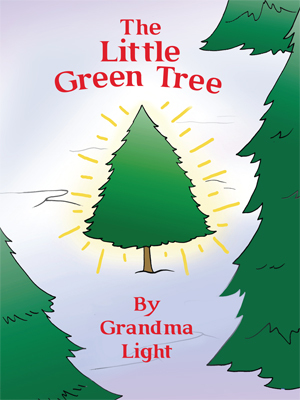 This is an inspirational book about what happens when a Little Green Tree follows his dreams. 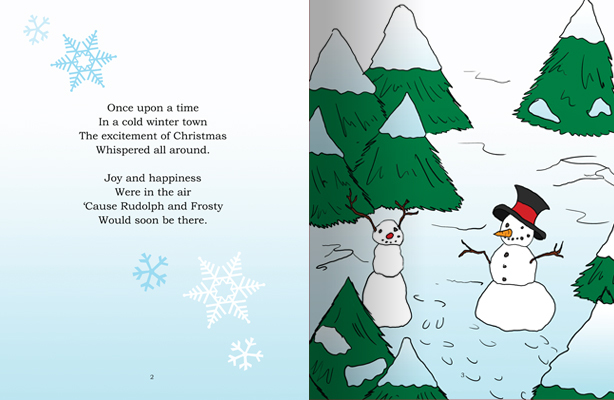 Read The Little Green Tree and get in the holiday spirit! This is a thrilling story that takes a man where he never knew he could ever go. This man asks his wife if she knows the Secret of the Universe. She says she does. She also tells him she is not sure where the Secret of the Universe is. The man is determined to find The Secret of the Universe for himself. With courage He begins his search. 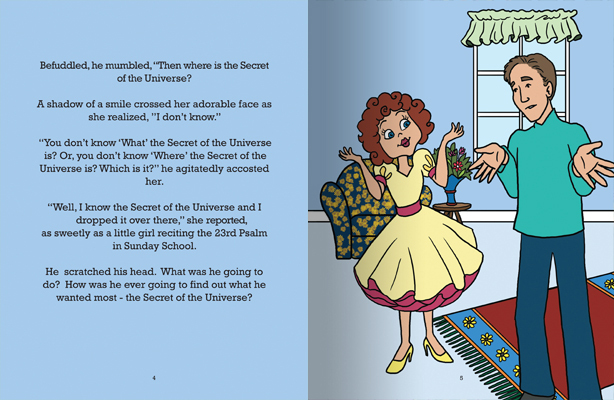 We get to go along with him and watch him discover the Secret of the Universe. 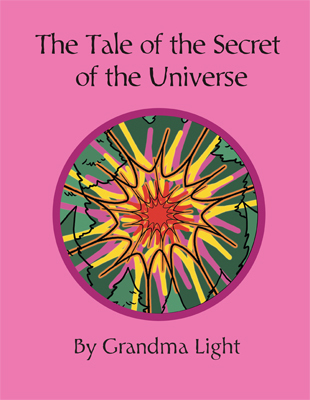 This is a most fascinating Tale for readers of all ages. 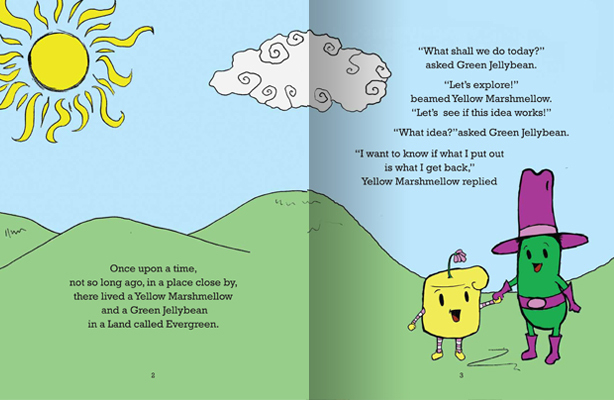 Yellow Marshmellow and Green Jellybean are vey curious about the World around them! They want to discover what the World is all about! They want to know what is always true and what they can really count on. This quest leads them to on an adventure – Off to Find the Truth! When you read what they discover, you will also find the Truth that is always true, no matter what! 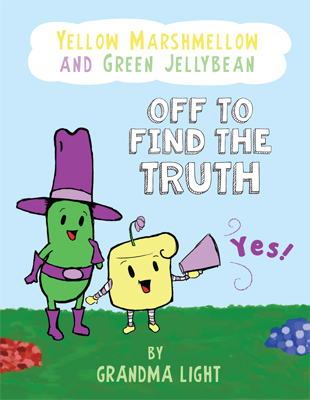 Enjoy this refreshing adventure as Yellow Marshmellow and Green Jellybean take you on their journey and find what they have always been looking to find. 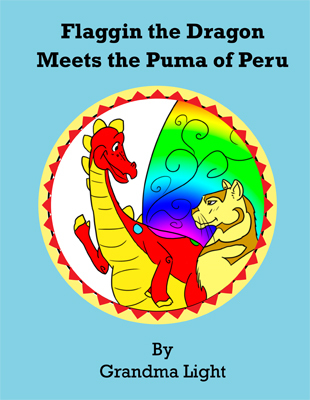 Flaggin’ the Dragon takes us on an adventure to the land of Peru, a country in South America, where he lands in the the tall Andes Mountains. Here Flaggin’ introduces us to the Archetypal animals of Peru. He takes us to the Puma, the Serpent and the Condor. Each amazing animal tells us a story about their lives in the Inca civilization long ago. Follow Flaggin’ on this fascinating adventure and see with your own eyes what he learned. 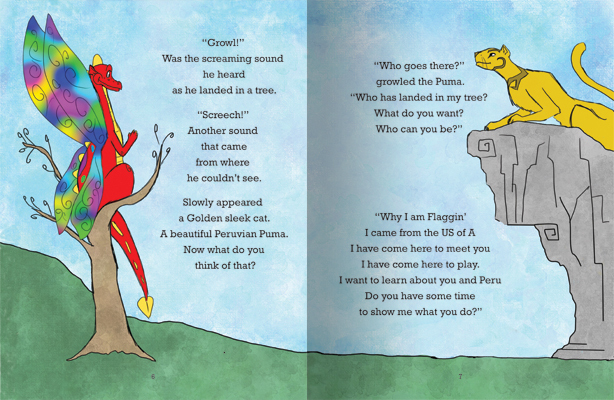 Read the rest of the story and follow Flaggin’ as he learns about Peru and makes new friends! 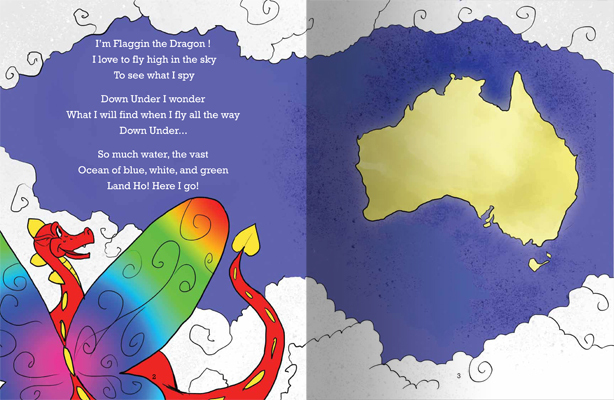 Join Flaggin’ the Dragon on his journey to the Land Down Under, known as Australia. Here you will meet two Aboriginal sisters, Oorak and Orani, who will introduce you to some of the customs in their vast land. Close to the center of Australia is an unique mound of red rock the Natives call Uluru. 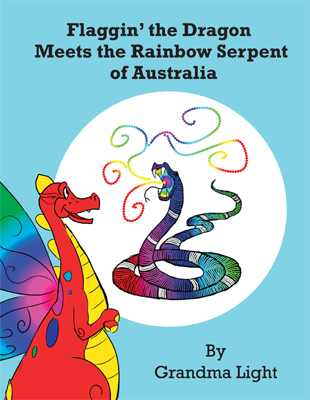 It is here by the campfire that the tale of the Rainbow Serpent is told. 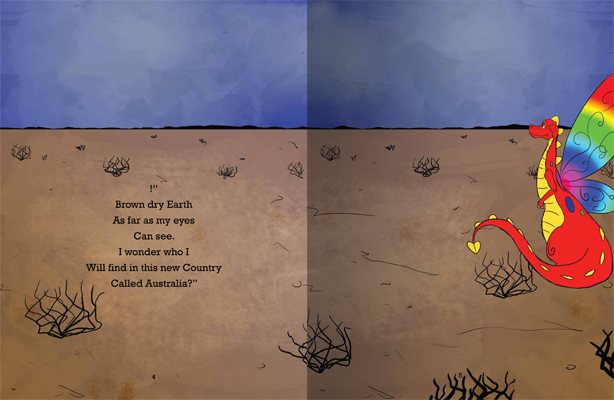 Read the rest of the story and follow Flaggin’ as he learns about the creatures and legends of Australia and makes new friends! 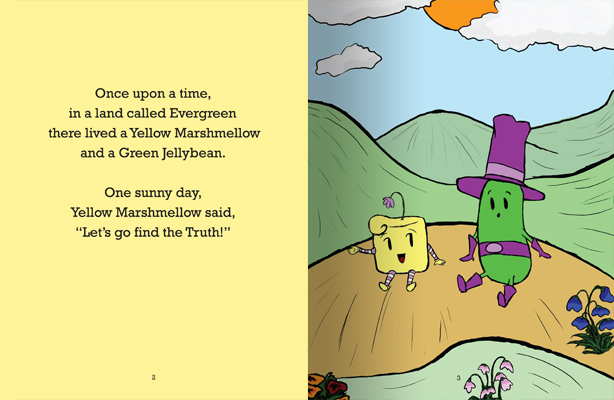 Yellow Marshmellow and Green Jellybean are very curious about the World around them! They want to discover if what you put out is what you get back! If you smile at other people, for example, will they smile back? 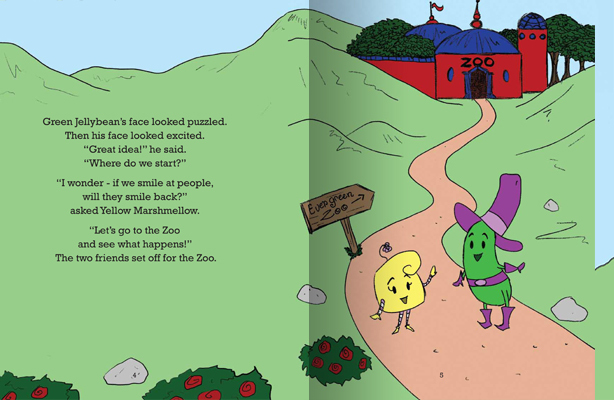 This quest leads them on an adventure at the Evergreen Zoo where they meet lots of friendly animals and friendly people, too. When you read what they discover, you will also know whether what you put out is what you get back! 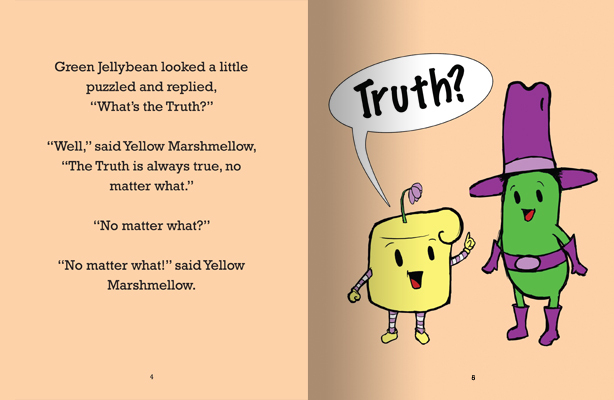 Have a fun trip to the zoo with Yellow Marshmellow and Green Jellybean and learn some important truths about Life! 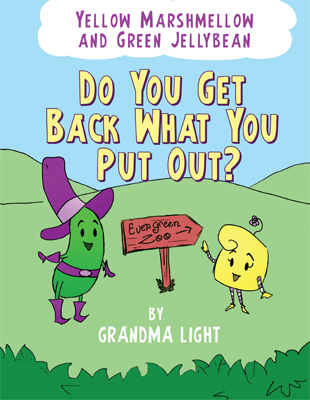 Read the rest of Yellow Marshmellow and Green Jellybean’s adventure and find out if they really get back what they put out into the world. 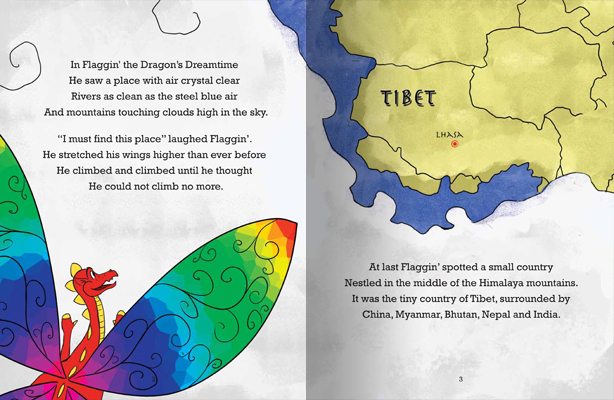 Flaggin’ the Dragon takes us on an adventure to the land of Tibet, a country in Asia, where he lands in the snowy Himalayan mountains. 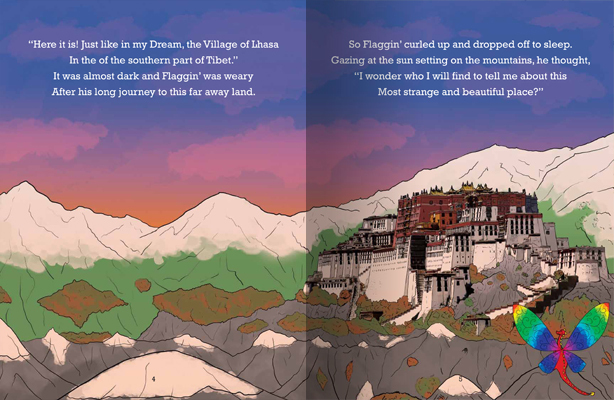 Here Flaggin’ introduces us to the Archetypal animals of Tibet. He encounters the Snow Lion, the Tiger, the Dragon and the Garuda. 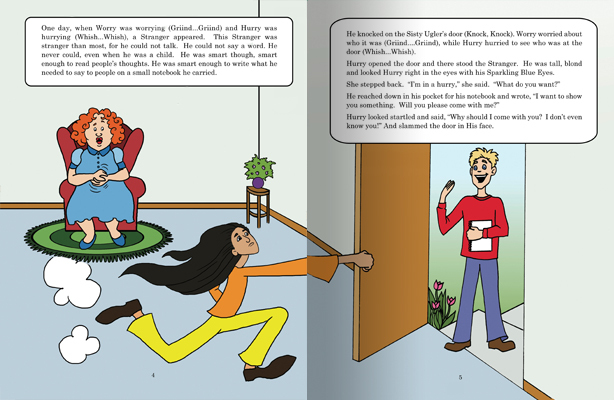 He learns about each magical animal’s amazing powers and its importance to the people of Tibet. Follow Flaggin’ on this fascinating adventure and see with your own eyes what he learned. 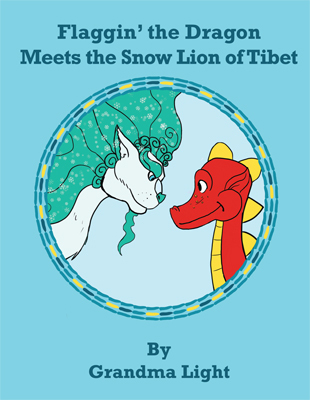 Read the rest of Flaggin’ the Dragon Meets the Snow Lion of Tibet and join Flaggin’ as he takes an amazing journey of learning and friendship. © 2018 Grandma Light | All Rights Reserved.